The metalized plastics are extensively used by the food packaging industry. The metalized plastic wastes (MPW) are largely unfit for reuse and recycle process and impose harmful impacts to the environment. The MPW may be sustainably utilized in construction materials. The fly ash-based geopolymer concrete (GPC) has emerged as a sustainable construction material in the past few decades. Therefore, a novel combination of MPW and GPC may hold the potential of preparing a greener and sustainable construction material. The objectives were to obtain the optimum dosage of MPW fibers and to evaluate the corresponding response of the fresh and strength properties of the modified GPC. To explore the effectiveness of the addition of MPW into GPC, the life cycle assessment was studied for MPW and the novel composite prepared by combining GPC and MPW. The results exhibited improvement of strength properties of modified GPC specimens due to MPW fibers with a reduced trend of improvement of workability. It was observed that an addition of 1% MPW fibers by volume of the mix showed good performance of the composite for all test conditions. 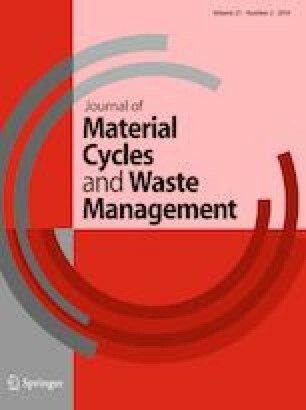 The sustainability assessment of the novel composite demonstrated promising outcomes ensuring the feasibility of usage of MPW into the GPC. The authors are thankful to the Marwadi University for facilitating the sources of the raw materials and testing laboratory facilities. The authors also acknowledge the support by the industrial packaging unit “Umiya Plastics” located at Shapar—an industrial area near Rajkot city for providing MPW. The authors are thankful to the colleagues, students, and staff of the Department of Civil Engineering at Marwadi University for their help and contribution to the experimental program.